Fewer than 10 million people are expected to enroll in "Obamacare 2.0" for 2015, the Obama administration said Monday. That's a significant drop from the original goal. The Congressional Budget Office had projected 13 million, but officials said they expect the ramp up to be slower than the CBO originally thought. The revised goal is 9 to 9.9 million. 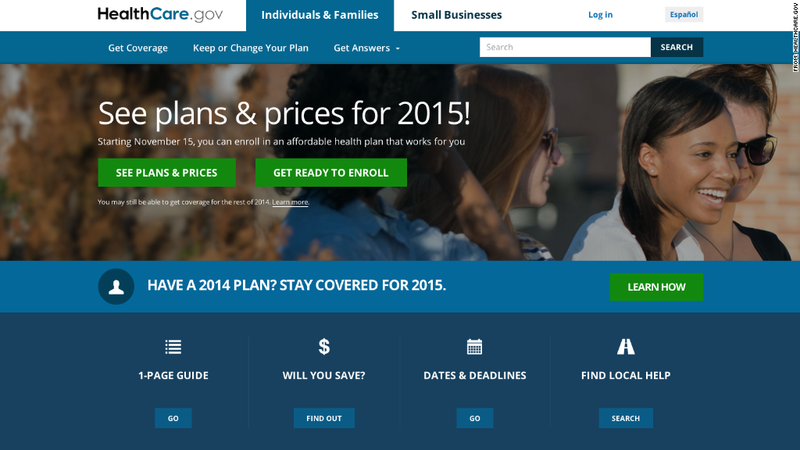 It raises questions about whether Obamacare enrollment will reach projections down the road. The CBO had projected enrollment would hit 25 million by 2017, but now the administration says it will probably take at least one or two more years to reach that threshold. Officials are realizing it will find it tougher to convince the remaining uninsured to enroll. Many who opted not to sign up this year said the cost was too high. Others, particularly the long-term uninsured, found the process too complex. "The next group of people will be harder to reach," Health Secretary Sylvia Burwell said Monday. Obamacare surpassed its target for 2014, but only after the CBO lowered its projection to 6 million enrollees because of the exchanges' troubled opening last fall. Some 7.1 million Americans were enrolled in health plans as of mid-October, officials said Monday. That's down from the 8.1 million that had originally signed up. Some never paid their premiums to complete enrollment, some got jobs that provide healthcare and some did not provide sufficient proof of citizenship. Simplifying the sign up process: Enrollment for 2015 runs from Nov. 15 to Feb. 15, but consumers can start browsing plans and premiums on the website now. Administration officials are promising that consumers will have an easier time signing up this year. The application process has been reduced from 76 screens to 16, and those who are re-enrolling will have much of their information automatically entered. The federal site, healthcare.gov, has undergone five weeks of testing in hopes of avoiding a repeat of last year's spectacular crash. Burwell encouraged current enrollees to shop for 2015 coverage, rather than simply letting their plan automatically renew. More insurers have joined the exchanges so consumers have a greater choice of plans, some of which may be cheaper than their current option, she said.